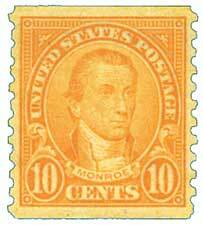 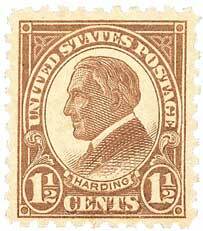 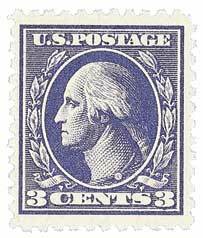 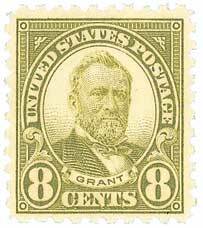 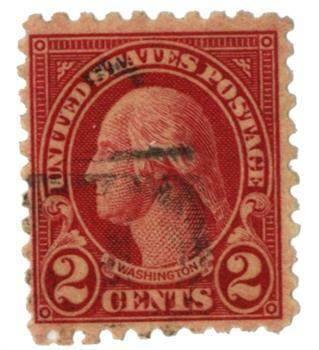 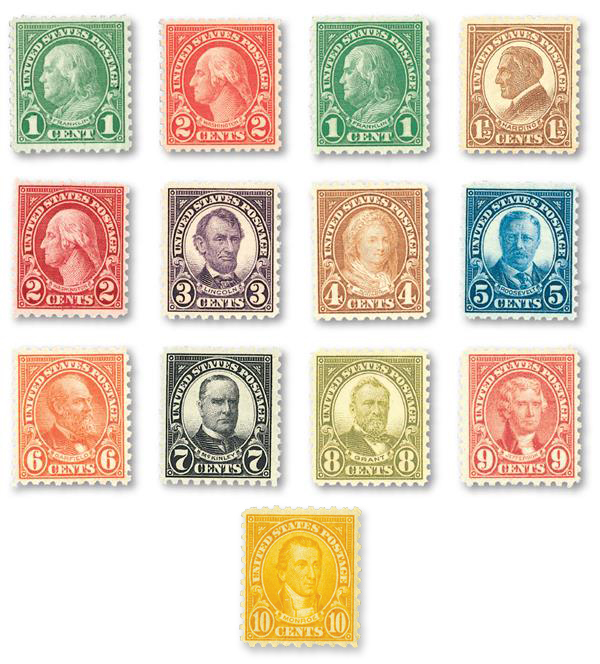 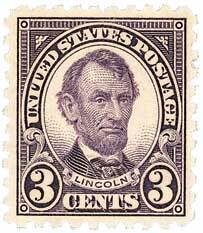 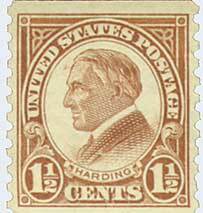 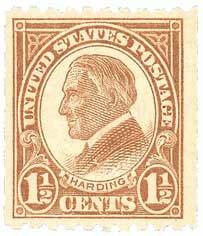 U.S. #583, the 2¢ Washington was used to pay for first-class letters. 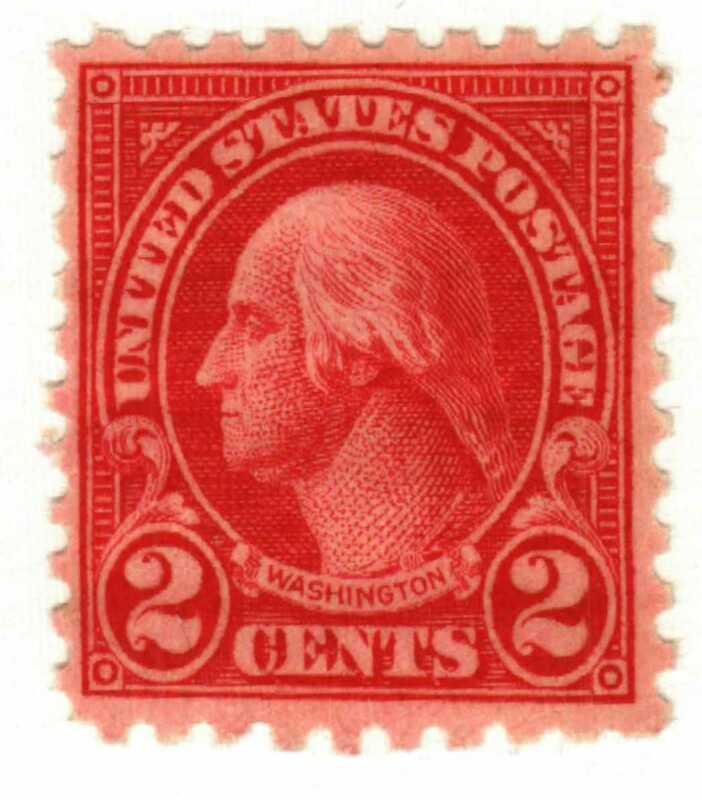 Washington’s portrait had been used on this denomination since 1847. 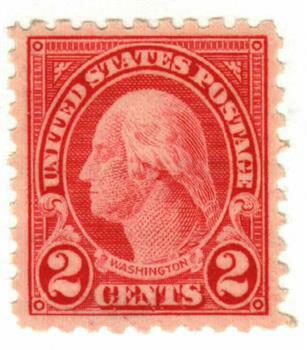 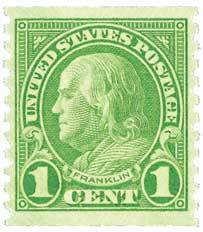 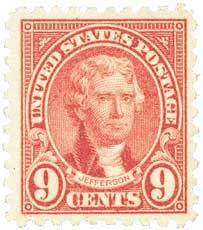 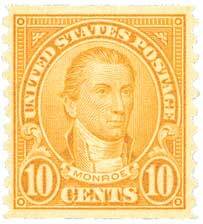 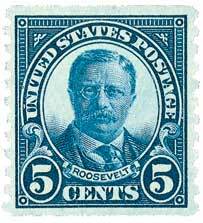 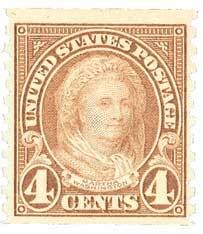 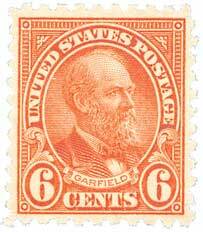 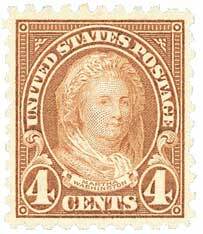 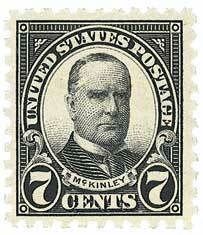 The engraving used for the Washington-Franklin series was used for this stamp. 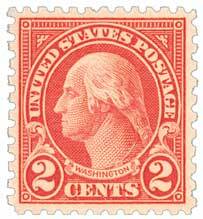 Prior to 1923, the rotary press had been used in the production of coil stamps. 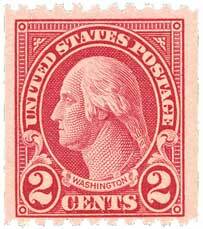 It soon became apparent this was the fastest and most economical means of printing stamps. 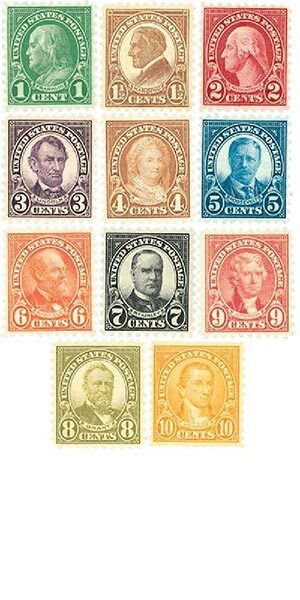 The rotary press could print 1000 stamps at a cost of .053 cents, compared to the conventional flat bed press cost of .08 cents. 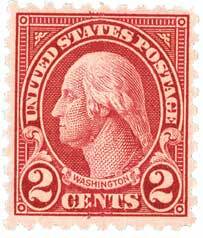 This difference of .027 cents is significant when one takes into consideration the fact that the Bureau printed millions of stamps each day. 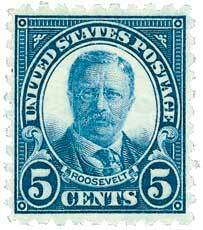 Daily production rates jumped from 1,600,000 stamps on the flat bed press to 6,000,000 per day on the rotary press. 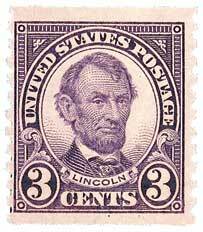 Despite the increased production and lower costs, the Post Office Department was still skeptical. 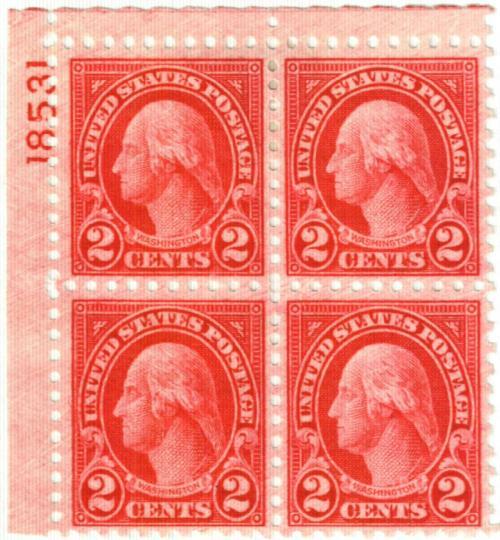 They finally decided a few stamps should be printed experimentally. At first, only the 1¢ Franklin was produced and used on a trial basis for six months. 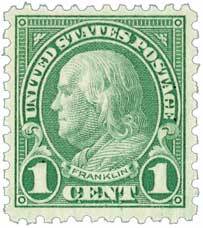 The results were successful, proving that quality was not sacrificed for higher production. 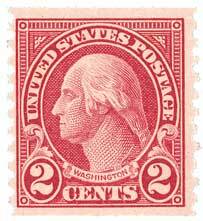 Shortly thereafter, the 2¢ Washington was produced on rotary presses as well. 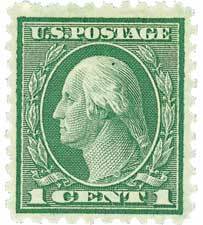 Eventually, new equipment was developed to improve the process, which resulted in the 1¢ through 10¢ being printed on the rotary press.